Thyme is a medicinal herb with a wide range of health benefits. This tender herb has many culinary, ornamental, and medicinal purposes. It imparts a wonderful fragrance and when added to food and is sold in the fresh as well as dried form. 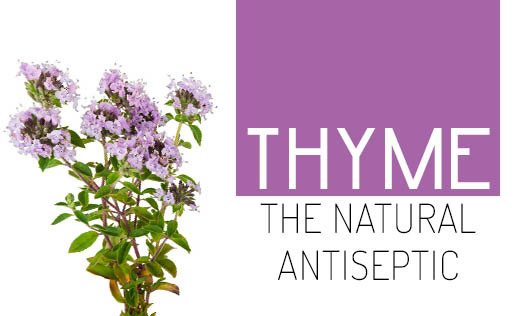 Thyme herb contains Thymol which has excellent antiseptic and antifungal characteristics, due to which it is used in the manufacture of mouth washes and other skin ointments and creams. Thyme is rich in vitamin C (266% of the daily value) which helps in fighting infections and stabilizing immunity. Thyme also contains Vitamin A (158% of the daily value) which helps in improving vision especially during nighttime. Its naturally soluble anti-oxidants help prevent oral cavities and oral cancer. Thyme is also rich in iron (up to 218% of the daily value) and hence helps in improving hemoglobin levels. Thyme is rich in vitamins A, C, E, and beta vitamins, used in B-Complex tablets for treating mouth ulcers. Thyme contains potassium, an important component that helps control heart rate and blood pressure. Thyme doesn’t contain cholesterol and this helps the body to not accumulate any fat. Don’t forget to add this herb in your everyday dishes to gain maximum benefits. It is available in India and can sometimes be used in place of coriander and curry leaves.